ANDALUCIA should wake up to an entirely new political scenario on Monday morning. While the Socialists are expected to win the elections they are unlikely to have enough seats to rule on their own, and most likely even less than in 2012. But the parties are already brokering power deals before Sunday’s race. Regional premier Susana Díaz seems to be heading for a pact with Ciudadanos, the up-and-coming political organisation started in Catalonia and which has been taking away much of Podemos’ steam over the last weeks. 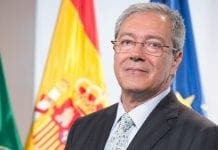 Ciudadanos’ candidate, Juan Marín, said his party has already drawn up red lines it will not cross if the Socialists invite him to form a partnership. He says it is crucial to reactivate the economy, clean up the institutions of corruption and ensure people don’t have to suffer because of financial difficulties. And, conveniently, we already have a PSOE-Ciudadanos coalition running for three years in Sanlúcar de Barrameda, near Cadiz. It came after independent councillor Marin (in office since 2007) merged with Albert Rivera’s Ciudadanos party in 2011, and then allied with the socialists to help them stay in power. 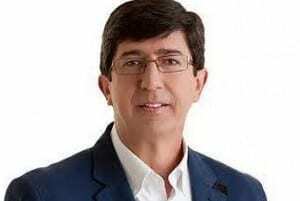 So will be only a test of time if Marín can transfer the success he had in local city government to the regional level. The latest surveys show that Ciudadanos could gain 12 seats in the local parliament, just three seats less than Podemos… and Diaz has no intention of pacting with them. Voters fed up with 40 years of bipartisanism is Spain have been scared off by the somewhat radical and ambiguous proposals coming from Podemos, which have made Ciudadanos seem more credible. 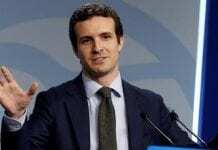 I like what Juan Marin says and given the choice, I would rather have Ciudadanos without PSOE who are well past their sell by date – it is hard to imagine why anyone would vote for them. I can understand why Spanish voters want to blow a political raspberry at the main parties and PSOE are a case in point but, in my opinion, Podemos are the wrong political raspberry to be blowing. Ciudadanos look like a far better alternative and they are making the right noises i.e. they are business friendly and want to kick start the economy. Meanwhile, the business unfriendly Podemos say they “admire” Venezuela and think it is a model for Europe and their credibility is evaporating.